Chase Treibt and his four brothers are changing beer pong for the better. 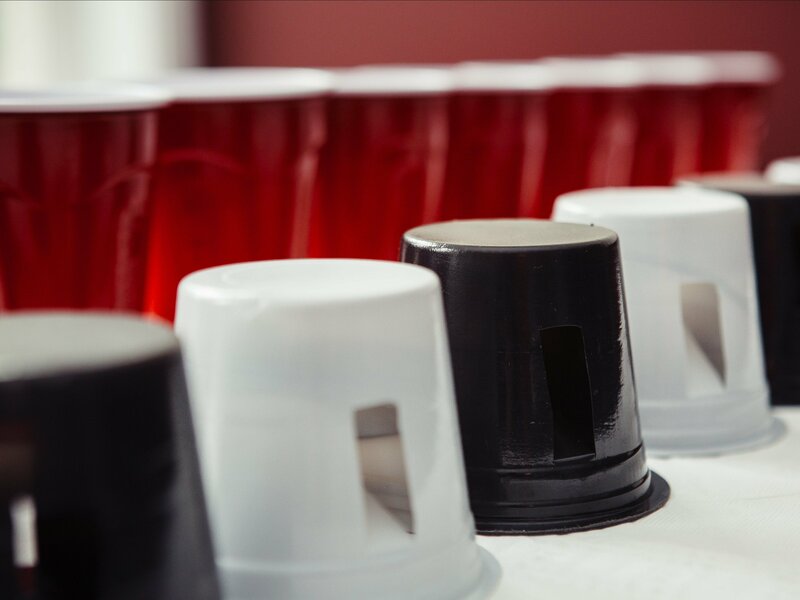 After his friend swallowed a hair that had been wrapped around a ping-pong ball, Chase and his bros invented Slip Cup, a product that cleans up beer pong and widens its appeal beyond college frat parties. 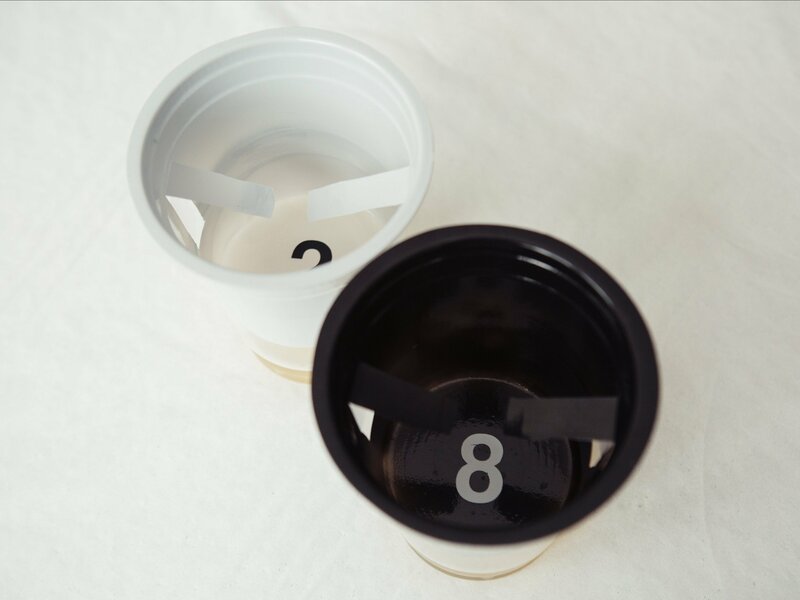 A Slip Cup is a mini-cup with a thin rim that catches the ping-pong ball and keeps it from contaminating your brewskie. They're made from recycled plastic and they fit into both 16- and 18-ounce disposable cups. Flaps inside the cup prevent it from popping out — and since Slip Cups are center-weighted, you can say goodbye to spilled beer. 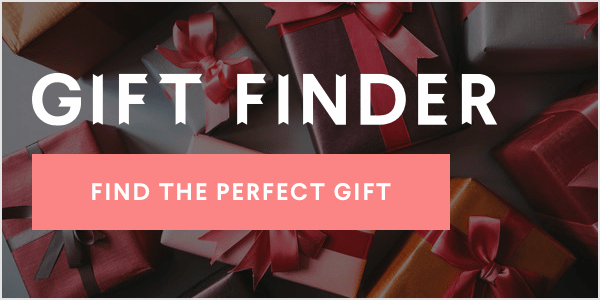 The brothers, who hail from Brookfield, Connecticut, launched the product on Kickstarter, where they've already exceeded their fundraising goal. We got on the phone with Chase to learn more about Slip Cup and why beer pong isn't just a college game. BUSINESS INSIDER: Were you surprised that you surpassed your $70,000 Kickstarter goal in just 10 days? CHASE TREIBT: Oh it's amazing. I have to be honest, it's really cool because we didn't think it was going to be this big this quickly. We thought we had a good idea, but everyone seems to just really like it — even adults, and that's why we've been able to get so much press and so many people to share it. BI: So who exactly is the target demographic? CT: It's definitely college students, but we believe it's like video games. Our parents played video games ... and they're not going to stop playing video games. Our generation grew up on drinking games and we're not going to stop playing drinking games. 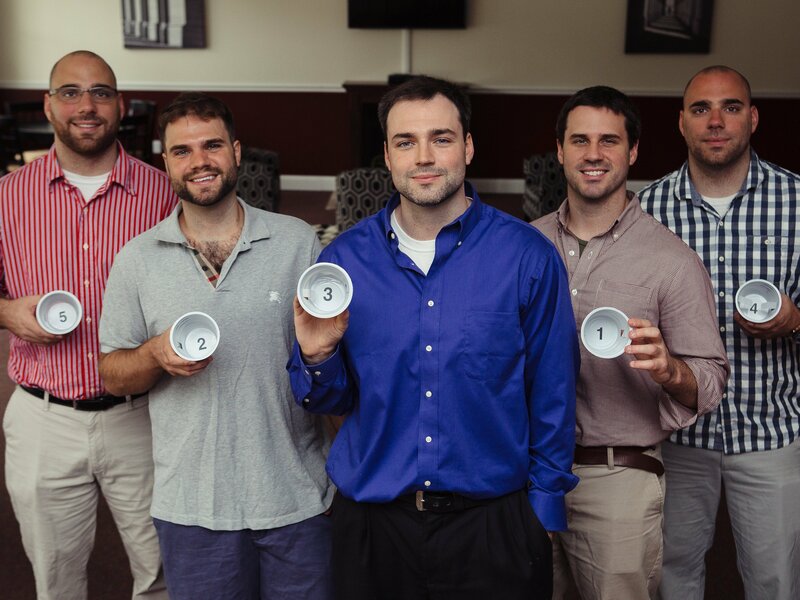 BI: What's the story behind the name Slip Cup? CT: [My brothers] Chad and Trevor said it at the exact same time. I know they're twins and that's weird, but I swear to God they said it at the exact same time, Slip Cup. We think it's catchy! Slip Cup is like Solo cup, flip cup, Slip Cup. BI:Where can we expect to find these bad boys? CT: When we did our market research, I was pretty surprised to find Walmart is the by far the number one place kids said they would expect to see this product. I'm hoping Walmart, Exxon, 7-Eleven, but I dream big. BI: What's been your biggest success so far? CT: Oh it has to be the viralness. We made a lot of money pretty quickly with Kickstarter, which was cool, but it's just, like, how everyone shares ... and more people seem to like it than not. When we did the market research it was something like 91% liked the product and the other 9% said they didn't drink. It's just cool to create a product that other people like and say they need. 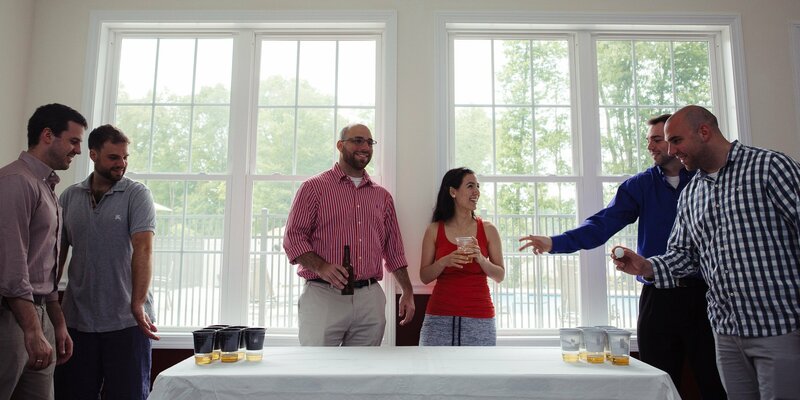 BI: We know Slip Cup keeps your beer clean, but are there any other unique features? CT: The cool thing about the product is the games. It's the games that are really going to take this product to the next level. You add strategy, you add memory, you add all types of different stuff to the original game, and it just makes it a lot more fun. BI: Where do you see this product in five years? CT: I dream big, so I really believe it's going to be on store shelves everywhere. 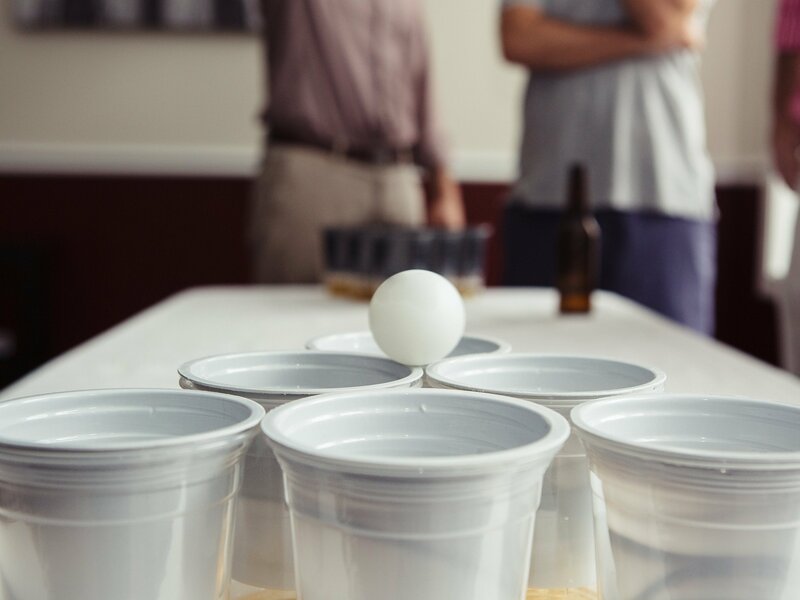 You're going to go to your friend's party and you're going to say, 'Let's get solo cups, Slip Cups, ping pong balls and beer.' We made everyone's favorite game better by making it clean, but now we've added 15 new games that you're not going to get bored of. CT: For long term goals, I'm working on getting a bar code now and we're going to start contacting retailers because kids don't buy stuff online. They're on their way to a party and someone texts them and says, 'Hey, we need cups for beer pong. Can you grab them at a gas station?' That's how I played when I was growing up, and that's how I see this product — it has to be cheap and it has to be available all the time, otherwise it's not going to be a success. BI: OK, now tell us the truth, who is the best beer pong player out of you and your brothers? CT: Oh it's definitely me. I am good, I'm not kidding. Watch the Treibt brothers' Kickstart video to learn more.